This clock has been in the family for at least 40 years or more. It is a thumb wind with two light bulbs. It measures 11 inches by 6 inches and works, in fact works well. 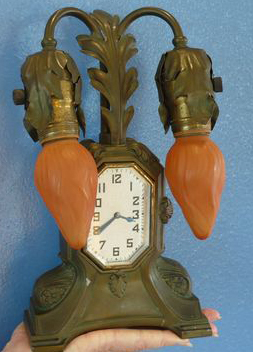 Can anyone please provide a model number (unable to find one) and if this clock has any value beyond being a family heirloom. Thank you.